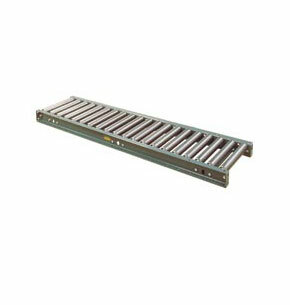 Hytrol heavy-duty roller conveyor Model 36-SR is designed and constructed to convey heavy loads, such as pallets, castings, etc. in steel industries and other manufacturing operations which require heavy-duty conveying equipment. Roller may be set high or low in conveyor frame depending on applications.